The stately oak saw the establishment of the nearby church in Basking Ridge, and when English evangelist George Whitfield arrived in 1740 to bring the “Great Awakening” to 3,000 listeners, he may have been shaded by its spreading branches. In 1780, General George Washington and Marquis de Lafayette met just a few miles away from the historic white oak in Washington’s headquarters to discuss their strategy for the revolution, and for generations, about 35 veterans of the Revolutionary War have rested in its shadow beneath their gravestones. As time passed, the tree became a part of the fabric of the town, a symbol of the church and a piece of the new country’s history. It survived the settler’s desperate need for wood during brutally cold winters. It survived the need for lumber as the community built its homes and shops. It outlasted many other trees. All things come to an end, however, and in 2016, an extraordinarily hot August stressed the ancient tree more than it could bear, and when the heavy rains began, the oldest white oak tree in North America died under the weight. The loss has been felt deeply throughout the community, but the Basking Ridge Oak will soon have new life. Frank Pollaro, a master furniture craftsman, will use some of its wood to create a series of custom oak furniture. With a base of 27 feet, a height of 100 feet and a canopy of 150 feet, the Basking Ridge Oak was massive. 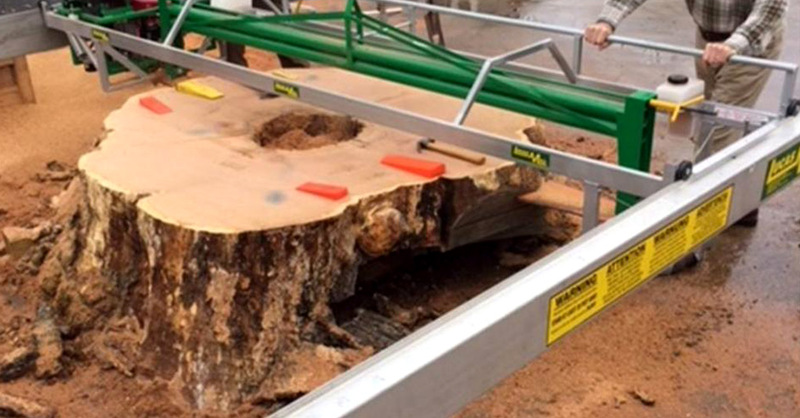 Pollaro has cut the lower trunk of the tree into cross sections to better display the annular rings of the tree. These sections will be used to craft a series of limited edition custom legacy tables. While Pollaro’s team was cutting and milling the wood from the Basking Ridge Oak, they discovered a musket ball dating back to the Revolutionary War lodged deep in the trunk. The ball will be left embedded in the wood for one-of-a-kind custom oak furniture. Pollaro will include a leather-bound book detailing the tree’s history and the table-making process with each table. Jacaranda, Inc., also gives old trees new life by transforming them into beautiful wood veneer products. We harvest a limited number of older trees from reclaimed lands or old growth forests, which allows robust new trees to grow in a healthier environment. By practicing responsible harvesting techniques, we ensure a reliable and sustainable supply of wood now and for many future generations.